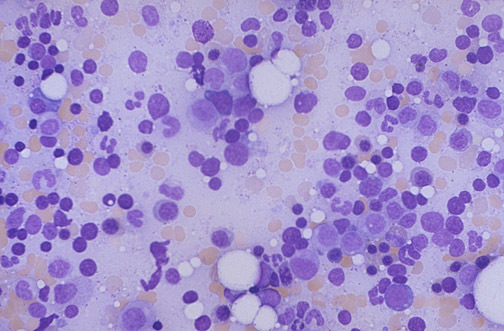 This is the appearance of normal bone marrow smear at high magnification. Note the presence of erythroid precursors and granulocytic precursors. How many red blood cells are produced by bone marrow each day?